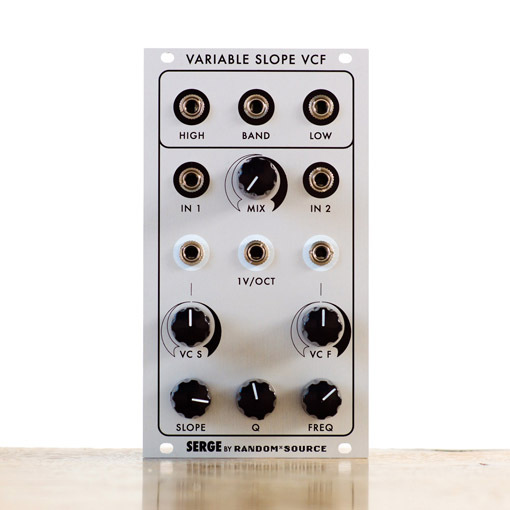 The Serge Extended Variable Slope filter (VCFS) is a unique filter of the Serge system, covering a wide range of sonic character. 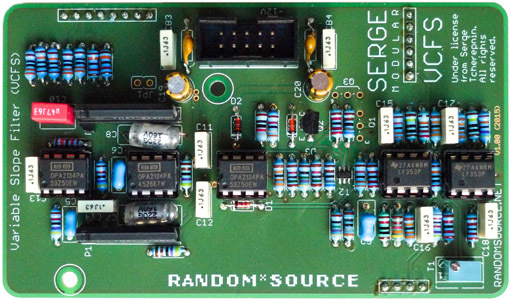 According to the 1983 Serge catalogue, the “VARIABLE SLOPE VCF (VCFS) allows the amount of filtering to be dynamically controlled, from barely perceptible filtering to highly resonant, sharp cut-offs. With the variable slope control in the center position, the VCFS acts as a typical flat-response VCF, with high, low, and band~pass outputs available simultaneously. The slope of the cut-off is 12 db/octave. As the control is moved toward the maximum position, the resonance of the filter increases, so that the cut-off becomes sharper." 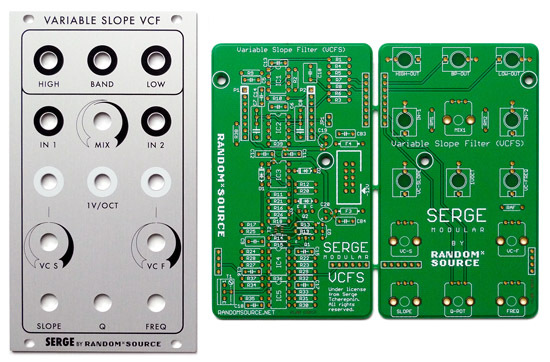 Now - for the first time and licenced by Serge - the VCFS is available as DIY kit for Euro.